Humans are remarkably proficient at controlling their limbs and tools from a wide range of viewpoints and angles, even in the presence of optical distortions. In robotics, this ability is referred to as visual servoing: moving a tool or end-point to a desired location using primarily visual feedback. In this paper, we study how viewpoint-invariant visual servoing skills can be learned automatically in a robotic manipulation scenario. To this end, we train a deep recurrent controller that can automatically determine which actions move the end-point of a robotic arm to a desired object. 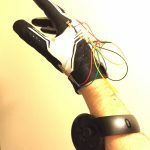 The problem that must be solved by this controller is fundamentally ambiguous: under severe variation in viewpoint, it may be impossible to determine the actions in a single feedforward operation. Instead, our visual servoing system must use its memory of past movements to understand how the actions affect the robot motion from the current viewpoint, correcting mistakes and gradually moving closer to the target. This ability is in stark contrast to most visual servoing methods, which either assume known dynamics or require a calibration phase. We show how we can learn this recurrent controller using simulated data and a reinforcement learning objective. We then describe how the resulting model can be transferred to a real-world robot by disentangling perception from control and only adapting the visual layers. The adapted model can servo to previously unseen objects from novel viewpoints on a real-world Kuka IIWA robotic arm. The website and forum of Bullet just migrated to a new server. Things are under construction and http://pybullet.org and http://bulletphysics.org will be merged into one. earning-based approaches to robotic manipulation are limited by the scalability of data collection and accessibility of labels. In this paper, we present a multi-task domain adaptation framework for instance grasping in cluttered scenes by utilizing simulated robot experiments. Our neural network takes monocular RGB images and the instance segmentation mask of a specified target object as inputs, and predicts the probability of successfully grasping the specified object for each candidate motor command. The proposed transfer learning framework trains a model for instance grasping in simulation and uses a domain-adversarial loss to transfer the trained model to real robots using indiscriminate grasping data, which is available both in simulation and the real world. We evaluate our model in real-world robot experiments, comparing it with alternative model architectures as well as an indiscriminate grasping baseline. 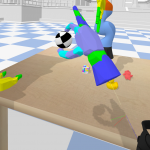 Bullet 2.87 has improved support for robotics, reinforcement learning and VR. In particular, see the “Reinforcement Learning” section in the pybullet quickstart guide at http://pybullet.org . There are also preliminary C# bindings to allow the use of pybullet inside Unity 3D for robotics and reinforcement learning. 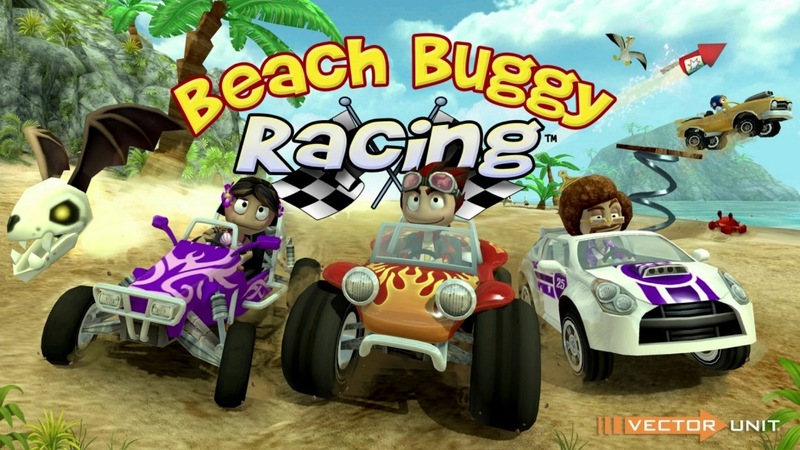 In addition, vectorunit Beach Buggy Racing using Bullet has been released for the Nintendo Switch! Instrumenting and collecting annotated visual grasping datasets to train modern machine learning algorithms can be extremely time-consuming and expensive. An appealing alternative is to use off-the-shelf simulators to render synthetic data for which ground-truth annotations are generated automatically. Unfortunately, models trained purely on simulated data often fail to generalize to the real world. We study how randomized simulated environments and domain adaptation methods can be extended to train a grasping system to grasp novel objects from raw monocular RGB images. We extensively evaluate our approaches with a total of more than 25,000 physical test grasps, studying a range of simulation conditions and domain adaptation methods, including a novel extension of pixel-level domain adaptation that we term the GraspGAN. We show that, by using synthetic data and domain adaptation, we are able to reduce the number of real-world samples needed to achieve a given level of performance by up to 50 times, using only randomly generated simulated objects. We also show that by using only unlabeled real-world data and our GraspGAN methodology, we obtain real-world grasping performance without any real-world labels that is similar to that achieved with 939,777 labeled real-world samples. This paper focuses on the problem of learning 6-DOF grasping with a parallel jaw gripper in simulation. We propose the notion of a geometry-aware representation in grasping based on the assumption that knowledge of 3D geometry is at the heart of interaction. Our key idea is constraining and regularizing grasping interaction learning through 3D geometry prediction. Specifically, we formulate the learning of deep geometry-aware grasping model in two steps: First, we learn to build mental geometry-aware representation by reconstructing the scene (i.e., 3D occupancy grid) from RGBD input via generative 3D shape modeling. Second, we learn to predict grasping outcome with its internal geometry-aware representation. The learned outcome prediction model is used to sequentially propose grasping solutions via analysis-by-synthesis optimization. 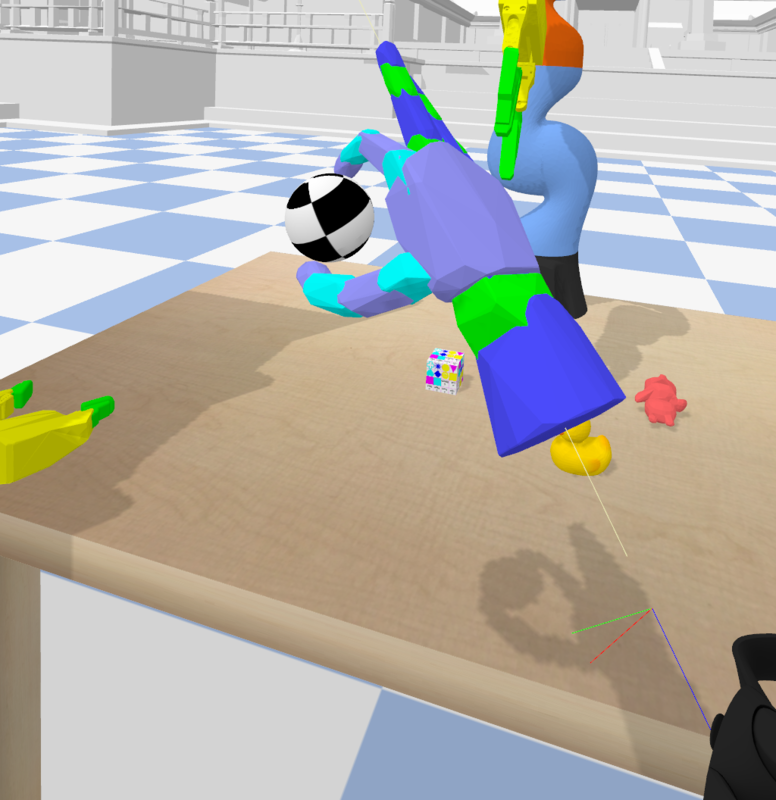 Our contributions are fourfold: (1) To best of our knowledge, we are presenting for the first time a method to learn a 6-DOF grasping net from RGBD input; (2) We build a grasping dataset from demonstrations in virtual reality with rich sensory and interaction annotations. This dataset includes 101 everyday objects spread across 7 categories, additionally, we propose a data augmentation strategy for effective learning; (3) We demonstrate that the learned geometry-aware representation leads to about 10 percent relative performance improvement over the baseline CNN on grasping objects from our dataset. (4) We further demonstrate that the model generalizes to novel viewpoints and object instances. 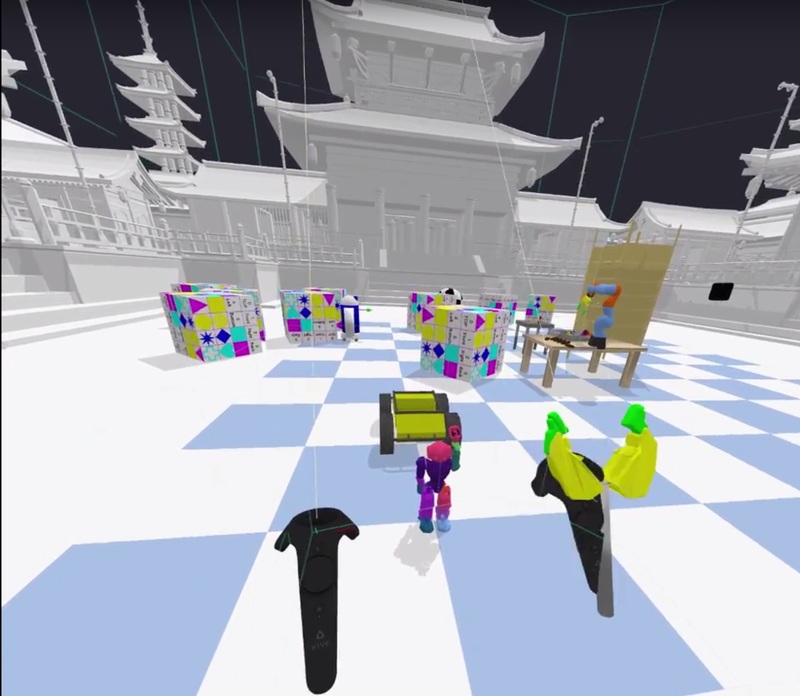 Roboschool provides new OpenAI Gym environments for controlling robots in simulation. Eight of these environments serve as free alternatives to pre-existing MuJoCo implementations, re-tuned to produce more realistic motion. We also include several new, challenging environments. After we launched Gym, one issue we heard from many users was that the MuJoCo component required a paid license (though MuJoCo recently added free student licenses for personal and class work). Roboschool removes this constraint, letting everyone conduct research regardless of their budget. 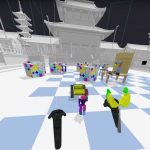 Roboschool is based on the Bullet Physics Engine, an open-source, permissively licensed physics library that has been used by other simulation software such as Gazebo and V-REP. The Bullet 2.86 has improved Python bindings, pybullet, for robotics, machine learning and VR, see the pybullet quickstart guide. Furthermore, the PGS LCP constraint solver has a new option to terminate as soon as the residual (error) is below a specified tolerance (instead of terminating after a fixed number of iterations). 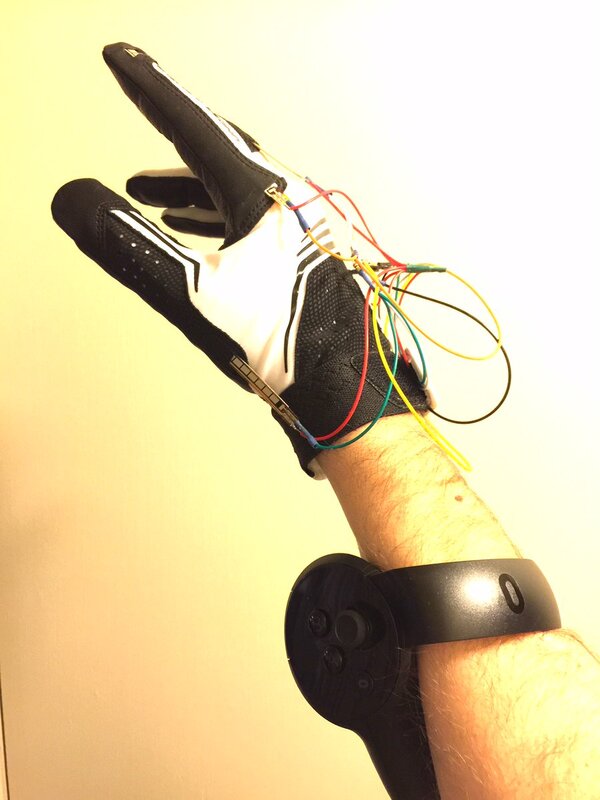 There is preliminary support to load some MuJoCo MJCF xml files (see data/mjcf), and haptic experiments with a VR glove. Get the latest release from github here. We have been making a lot of progress in higher quality physics simulation for robotics, games and visual effects. To make our physics simulation easier to use, especially for roboticist and machine learning experts, we created Python bindings, see examples/pybullet. In addition, we added Virtual Reality support for HTC Vive and Oculus Rift using the openvr sdk. See attached youtube movie. Updated documentation will be added soon, as well as possible show-stopper bug-fixes, so the actual release tag may bump up to 2.85.x. Download the release from github here.